“Organic farming is the heart of agriculture,” says P’Lan. With his soft demeanor and slender frame, Daoruang Puhtpon, better known as P’Lan, does not physically appear to be a strong leader. However, his power lies with his words and actions. Born and raised in Yasothon, P’Lan is an only child who comes from a long line of farmers. He has been farming organically since 1995, when a local non-governmental organization visited his village and educated the farmers about organic farming practices. He had many doubts about this system of farming, since he was a student at the time and was only taught about chemical farming. Always the curious and wanting to learn more, he flooded the organization with questions about organic farming. He was unsatisfied with the answers, so he decided to volunteer for an experiment about improving soil quality via organic means. P’Lan agreed, and developed into a fully organic farmer by the end of the experiment. From there, P’Lan got more involved in his community. He joined the Organic Preservation Club and became the lead quality control checker at the local rice mill. He was selected as a committee accountant, and it was around this time that he was introduced to the Alternative Agriculture Network (AAN). Within a year, he was asked to formally join the Isaan branch of the AAN. Three years later, when AAN Yasothon was established, he was selected as a president because of his already well-established organic farm. 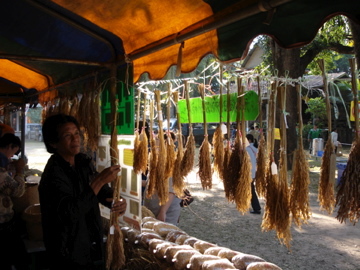 The AAN Yasothon was given government funding for its pilot project, to research sustainable agriculture. When the funding for this project ran out, many of the executives of AAN Yasothon left the organization, so P’Lan took on their responsibilities. He was demoted to coordinator, and when asked about his responsibilities as coordinator, he angrily yells, “Everything!” The AAN has since received more funding and P’Lan no longer has to work alone. This has allowed him to take on new endeavors, and he has taken advantage of it: he is currently the head of the Local Varieties Preservation Group and oversees many projects within the AAN. With the help and support of the AAN, P’Lan traveled to Hong Kong to protest the World Trade Organization (WTO) in December of 2005. The WTO was holding a Ministerial Conference in which they discuss WTO policies regarding a variety of issues. One of these issues included agriculture – the WTO wanted a reduction in subsidies given to farmers and a reduction of tariffs. About 100 Thais from various organizations flew to Hong Kong to plead for the WTO not to include agriculture in their policies. Many Thai people depend on farming for their livelihoods, and opening Thai agriculture to free trade would be disastrous. Thailand cannot survive in a free trade market in which it would have to compete with China. This inability to be competitive would devastate countless Thai farmers, particularly small-scale farmers. Although the WTO passed its policies, there is currently no free trade agreement regarding rice and the protests have helped raise awareness of the issues surrounding a potential free trade agreement on rice. P’Lan tells a warning story about the fate of garlic growers in Thailand after the garlic market was opened up to China – they could not compete with the cheap price of China’s garlic, even though it was a different, less flavorful species. 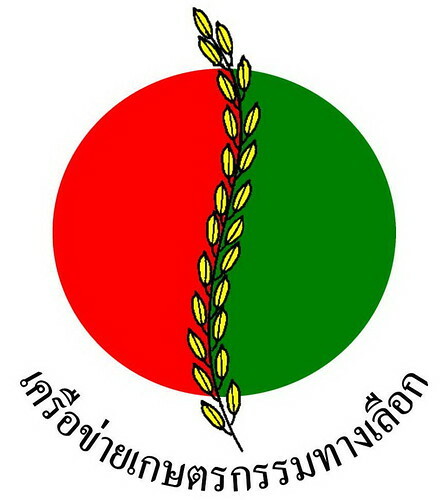 P’Lan worries that rice farmers will go the same way should the rice market be opened up to free trade as well. The AAN is also paying close attention to this issue, and is conducting research and analysis on how a free trade agreement on rice would affect members of the Association of Southeast Asian Nations. The Thai government is currently discussing the possibility of a free trade agreement, and I am sure P’Lan and the AAN will be extremely busy focusing on this issue area for the next few years.